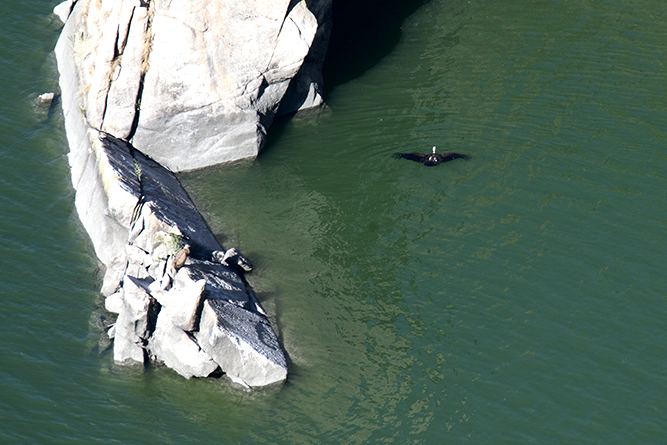 Usually we think that raptors don't like water (and it is true!). 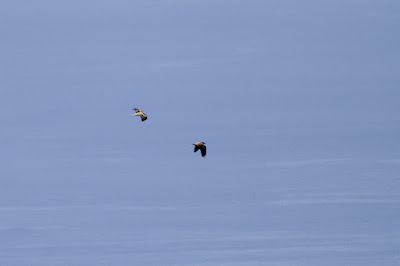 However our friends Alan Pittana and Elisa Moretti from Trieste took amazing pictures of Griffon Vultures swimming in a river in Western Spain (here below). 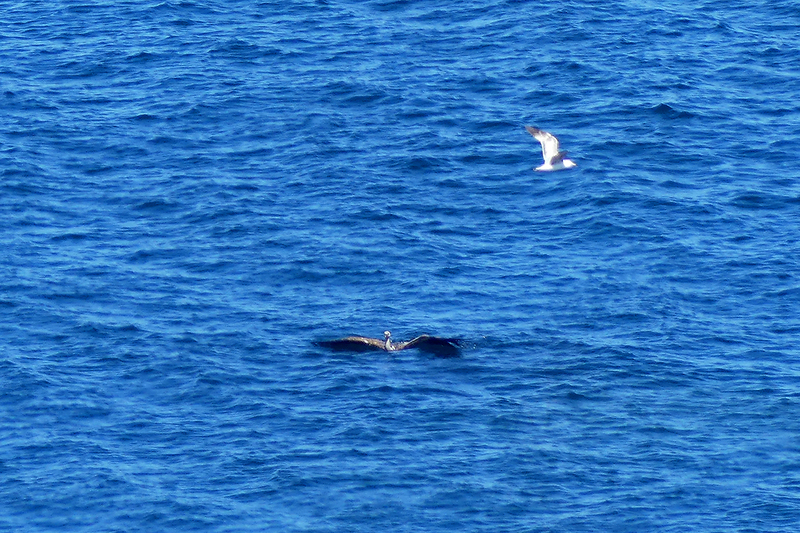 It is really impressive to see pictures of griffons freely going into the deep water! This behaviour is probably linked to the necessity of vultures to clean themselves from parasites taken when feeding on carcasses. The migration of European honey buzzards finished weeks ago since the peak of the migration was, as usual, between the end of August and early September. 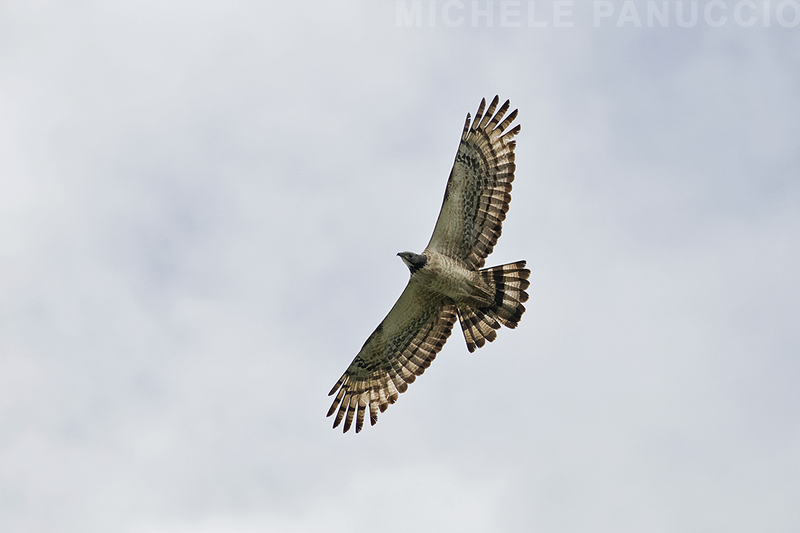 On the other hand Oriental honey buzzards are still moving southward in Asia and at Khao Dinsor (Thailand) in these days thousands of them are migrating together with several other raptor species. 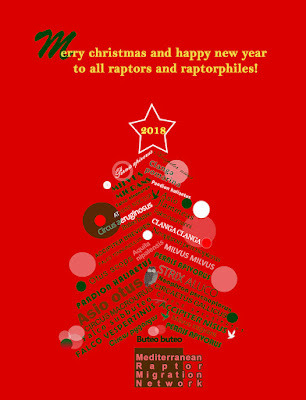 The raptor count there is promoted by the Flyway Foundation. 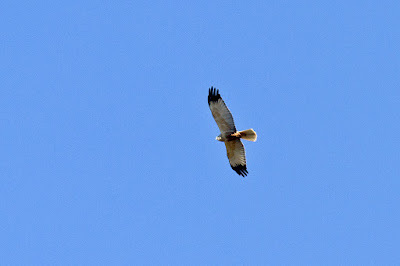 Here below some shots of Oriental honey buzzards there. 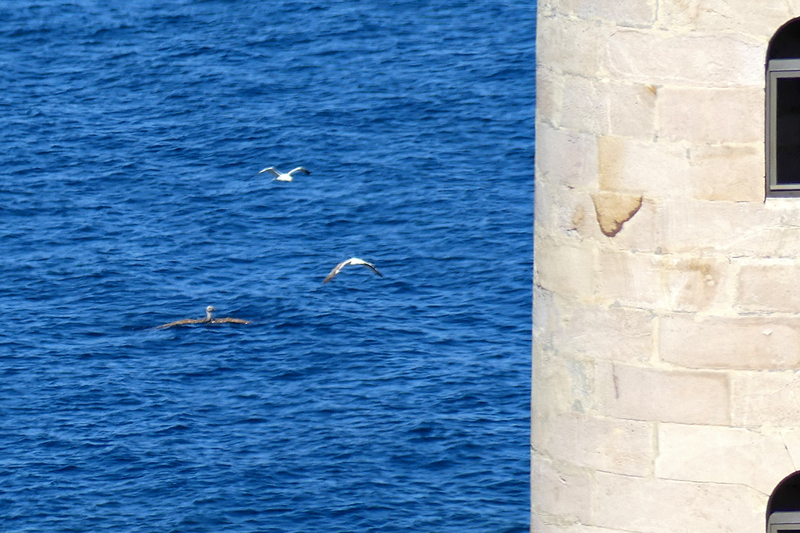 Few days ago the fieldwork season at the Strait of Messina ended. This year we decided to extend the monitoring season to detect some late migrants. 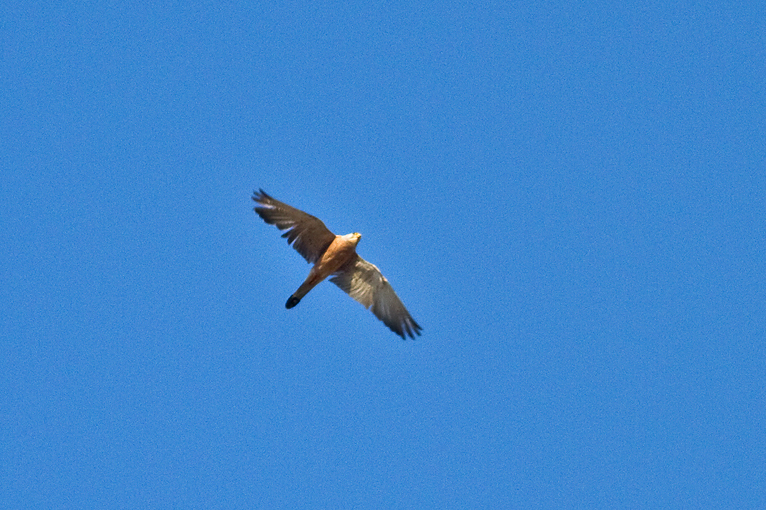 In october we observed hundreds of Kestrels/Lesser Kestrel as well as interesting numbers of Short-toed Snake Eagles, Booted Eagles, some Pallid Harriers and Red Kites. On our website you can see daily counts. Our next appointment will be in spring 2018. Let's meet then! 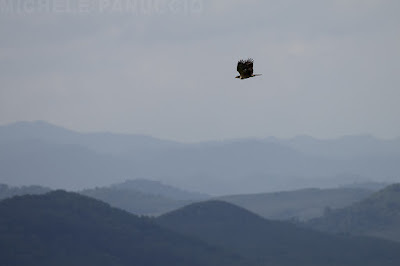 Two days ago it was shot a juvenile Black Stork close to our watchpoint at the Strait of Messina. 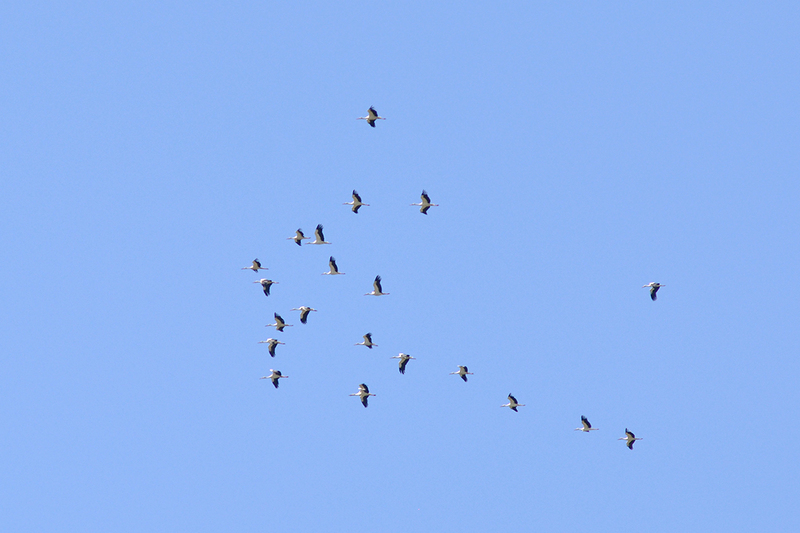 We already don't know if it will be possible to release the stork in the field. 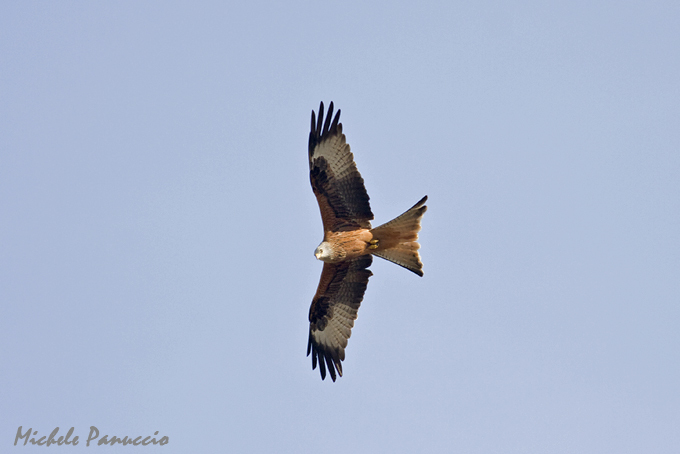 This beautiful bird was shot in area outside Natura 2000 site and outside the border of the National Park. Therefore it was shot in an area where hunting is allowed. 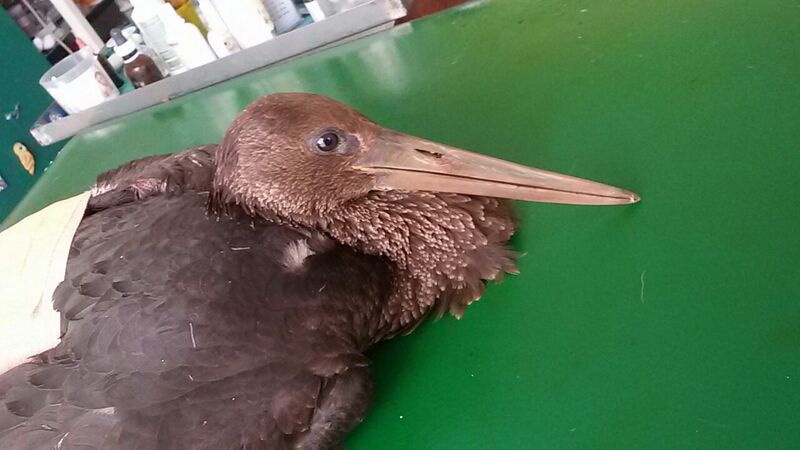 We believe the problem is that one and the solution should be to forbid hunting activity in the whole bottle-neck area of the Strait of Messina. Here below a picture of the unlucky stork. In the last two days about 2000 birds were counted at our watchsite at the Strait of Messina. 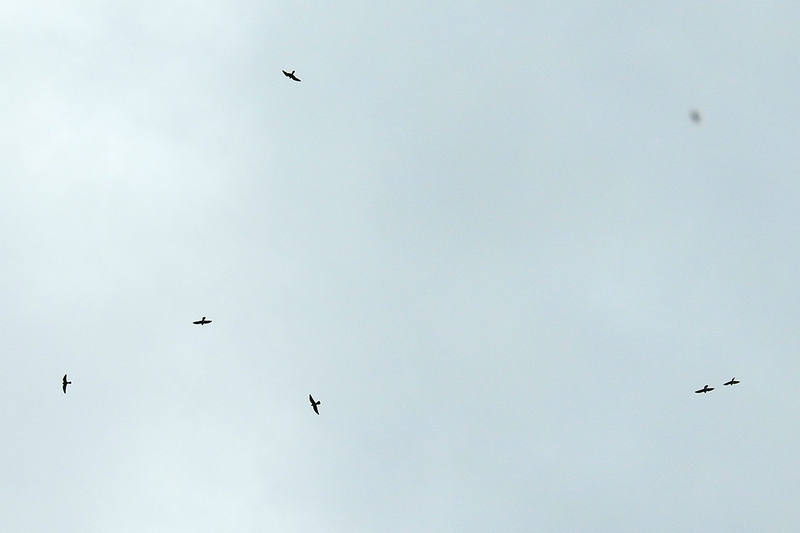 Most of them were Honey Buzzards but we observed also about 100 Marsh Harriers, about 50 Black Kites, 4 Ospreys, 12 Black Storks one Roller and many more. Take a look to our count here. 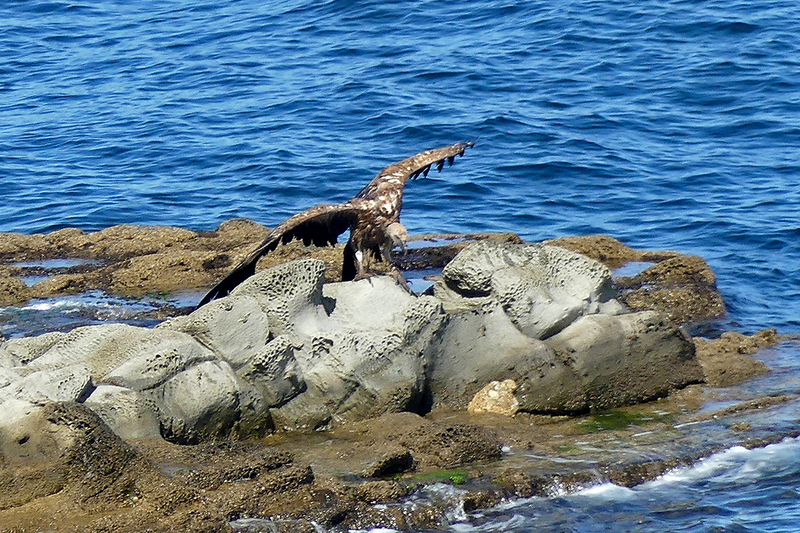 This stunning sequence was taken by Juan Ramirez some weeks ago at the Strait of Gibraltar. 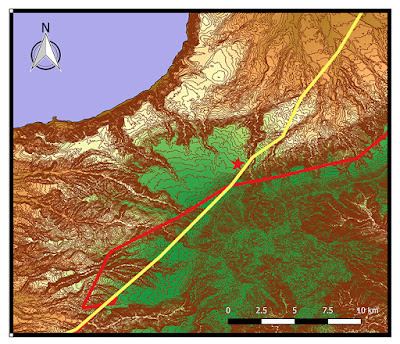 Despite the Strait is only 14 km wide at its narrowest point, the largest raptors find serious difficulties to use flapping flight to overcome it. 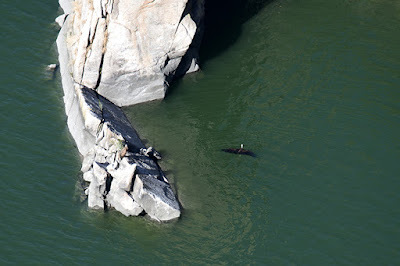 During the flight across the Strait it is not rare that some vultures or eagles died in the attempt of crossing the Strait. This time a Griffon Vulture fell into the sea but he was not discouraged and he reached the coast "swimming"! The bird survived and when it dried up it flew away showing an amazing case of how any individuals fight for its survival. 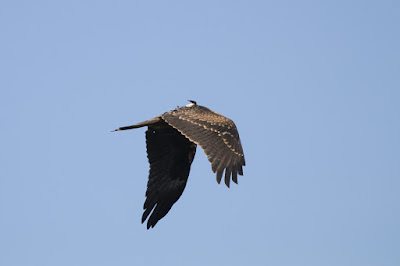 This video shows an adult Black Kite defending its nest from a jay. The video was taken two days ago by Jean-Philippe Audinet in the Natural Reserve of Decima Malafede that hosts a population of about 11 pairs of Black Kites. Unfortunately the population of this species in central Italy is declining probably because of a lack of resources. 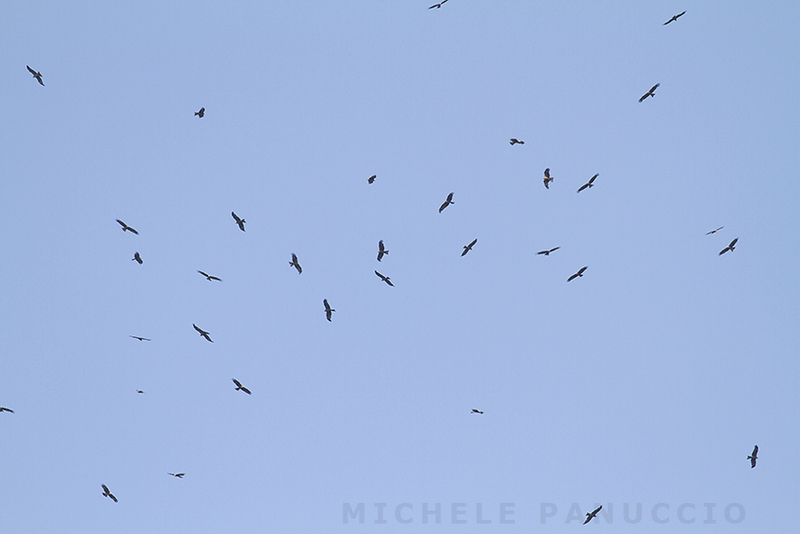 In these days we are recording the late passage of raptors at the Strait of Messina, mostly Honey Buzzards even if not exceeding some hundred of individuals per day. 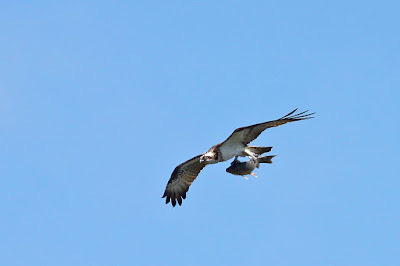 While here below a nice picture taken by Giovanni Cumbo of an Osprey in migration carrying a fish for his breakfast. 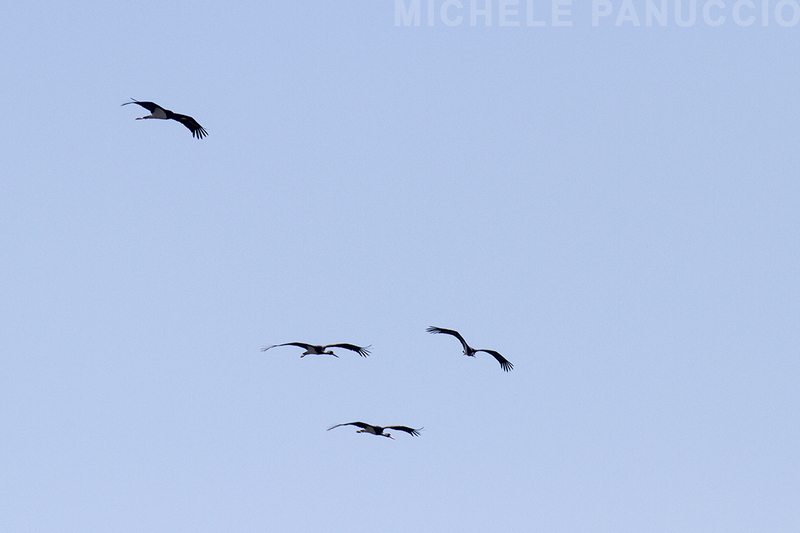 Yesterday it was an astonishing migration day at the Strait of Messina. 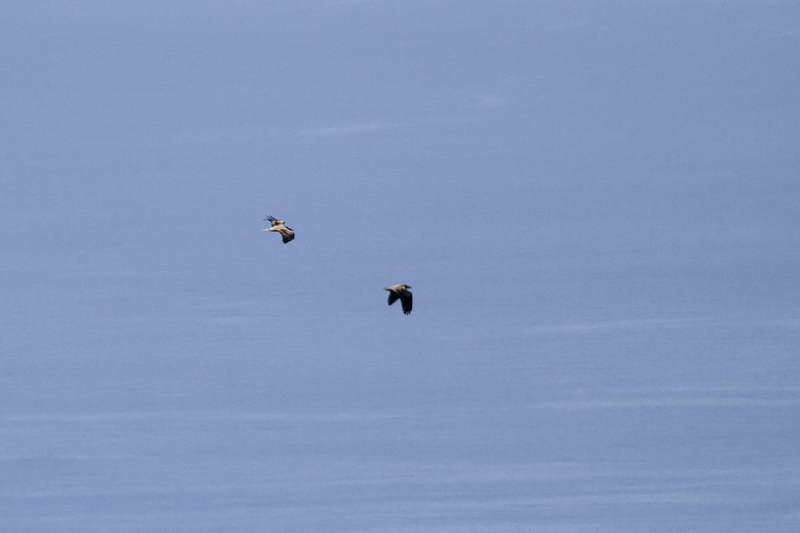 We counted more than 2600 raptors and 3 beautiful Egyptian vultures! 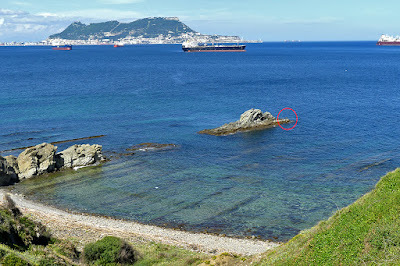 This species is now so rare in the Italian peninsula that not every year we observe it at the Strait, while this spring we already counted 6 individiduals. Here below a picture of two individuals observed yesterday at our station. Yesterday has been detected an amazing passage of Red-footed falcons at the Strait of Messina. 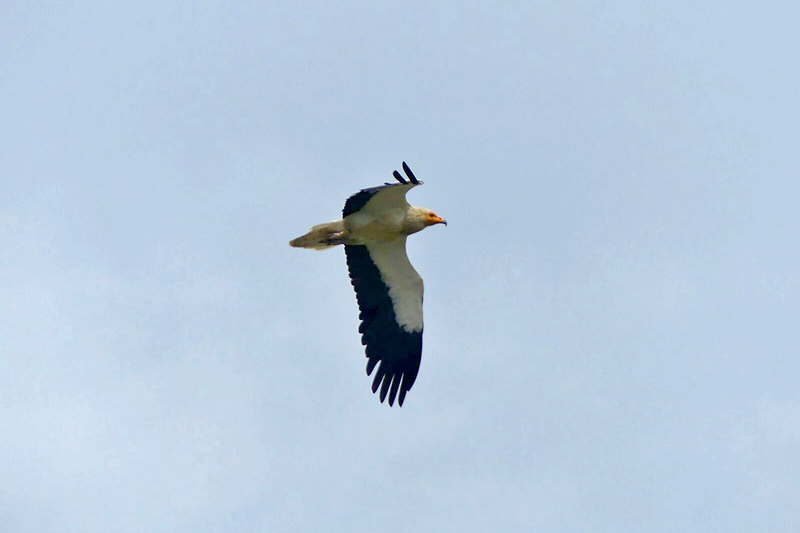 In a few hours hundreds of them crossed the Strait on a broad front together with a beautiful Egyptian vulture, and good numbers of Montagu's harriers. 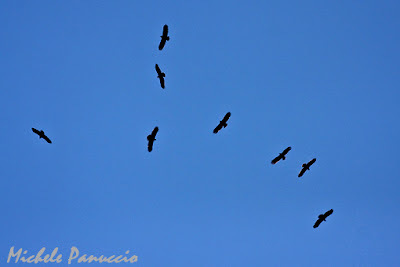 Here below a picture of the falcons taken by Giuseppe Cicero. 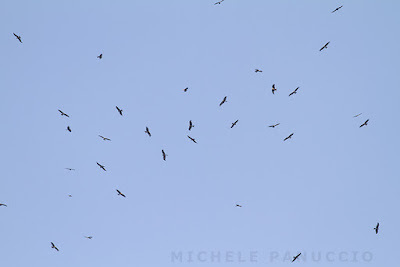 Some days ago a flock of three Griffon vultures was observed at the Strait of Messina. 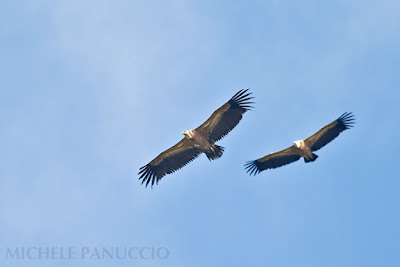 Vultures were observed first on the Sicilian side and then also on the Calabrian side of the Strait. Vultures have crossed the Strait together, taking 35 minutes to fly across 23 km! 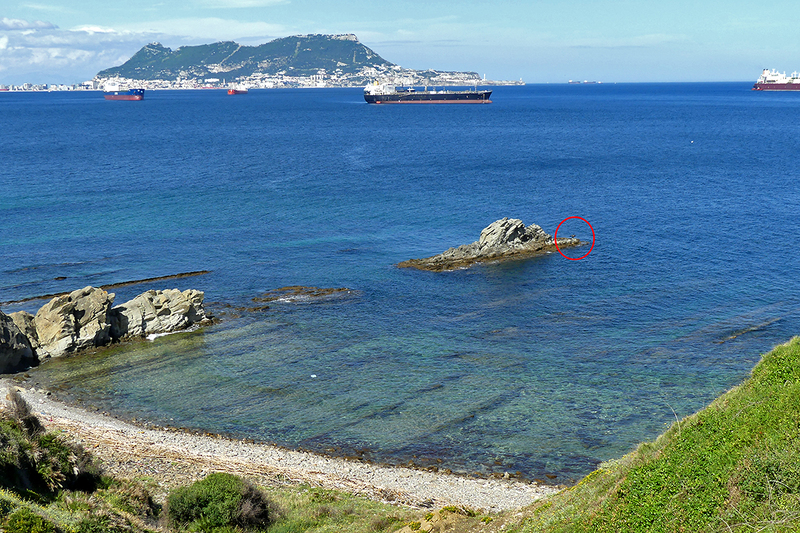 Here below two beautiful pictures taken by Juan Ramirez at the Strait of Gibraltar. 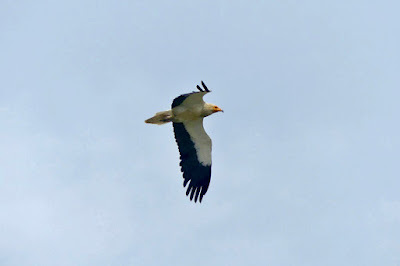 The first one was taken yesterday at the Los Lances beach and shows an adult Egyptian vulture. The other one shows an exhausted Griffon vulture just arrived on the European side of the Strait. 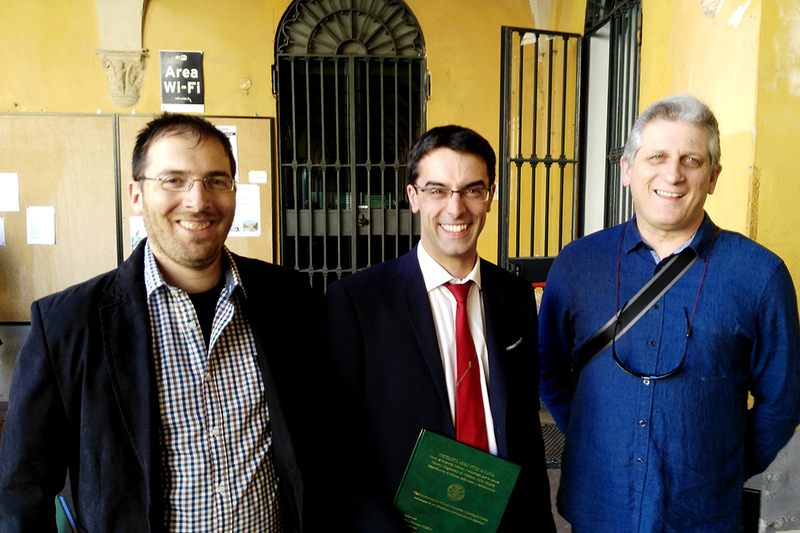 This week Alberto Pastorino graduated at the University of Pavia. He made a Master thesis analysing individual differences in flight performances of Honey Buzzards migrating in southern Italy. Radar measurements were made on raptors flying singly and in flocks, and for each flock were tracked more individuals. 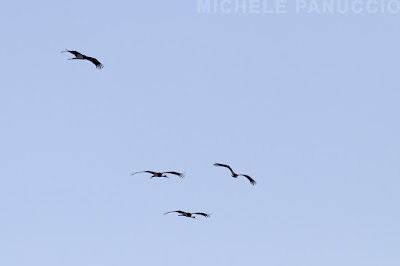 The amazing results showed that faster speed is reached by individuals flying in flocks rather than alone and that there are significative differences among individuals of the same flock. An interesting video document from the '70s that shows the "adorno" festival in a small village inland of the Strait of Messina. The festival was yearly organized by hunters/poachers to celebrate the killing of the Honey Buzzards. The hawk shoother who did not shoot to any raptors in the season was named the mayor of the village and was bringed around the village for derision. Today we observed a good passage of raptors with two beautiful male pallid harriers and tens of male marsh harriers. 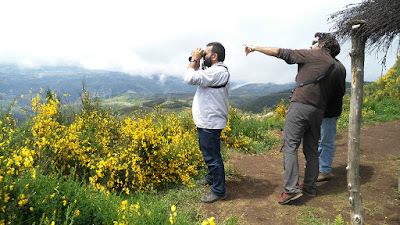 Moreover we recorded three black storks and the first cuckoo of the season. Follow our count. 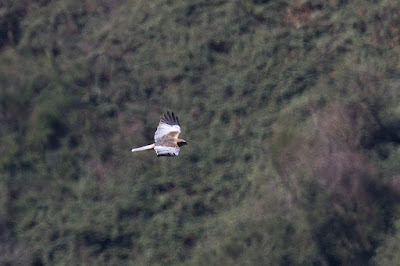 In these days we observed a passage of hundreds of Marsh harriers together with many other species such as Booted eagles, Black kites, Sparrowhawks, Kestrels and Lesser kestrels, Montagu's and Pallid harriers, Ospreys. 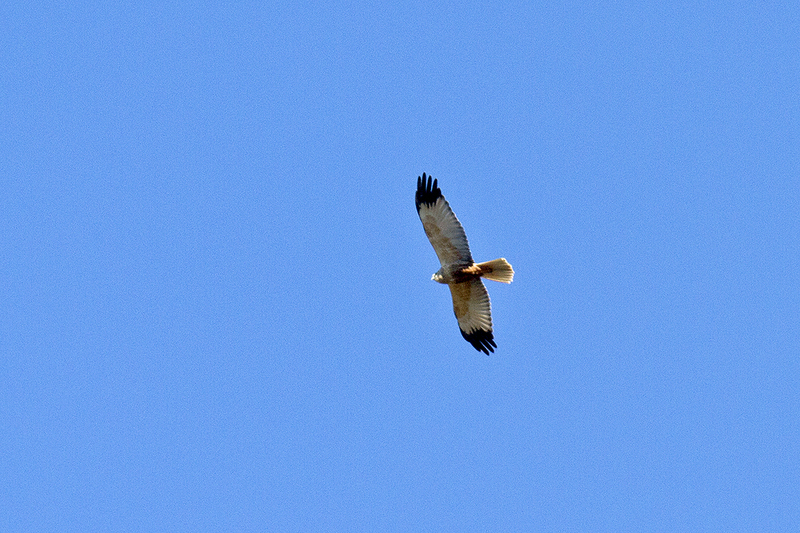 As usual in March, most of the Marsh harriers observed were males and they migrated in small flocks or singly. 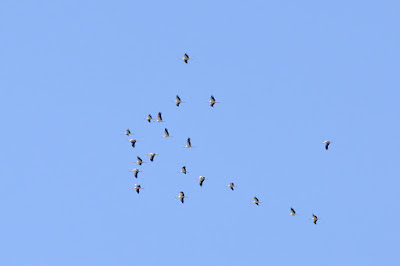 Raptor migration in NW Turkey: New paper out now! 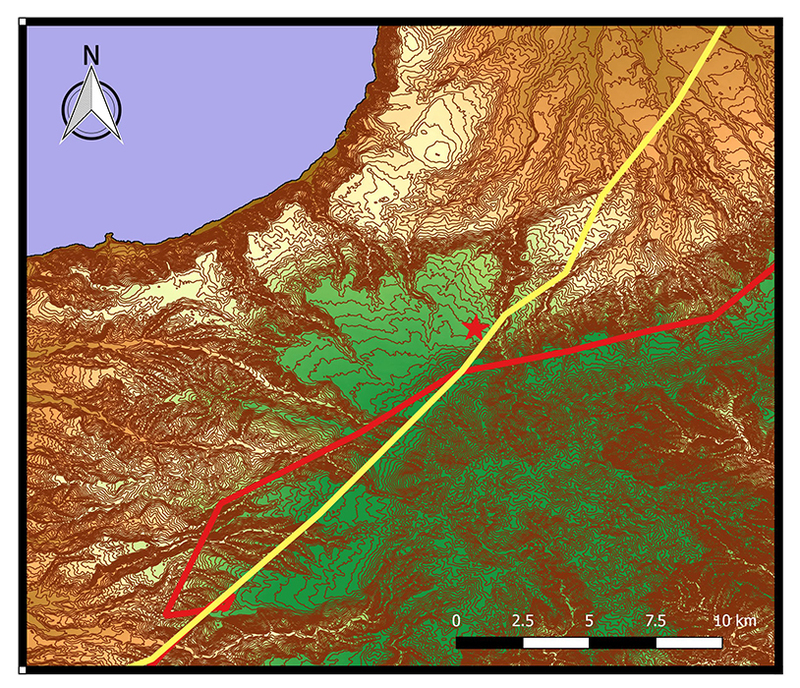 After some years from the fieldwork I'm really happy to announce that has been published our paper relying on raptor migration in North West Turkey on Ardeola. 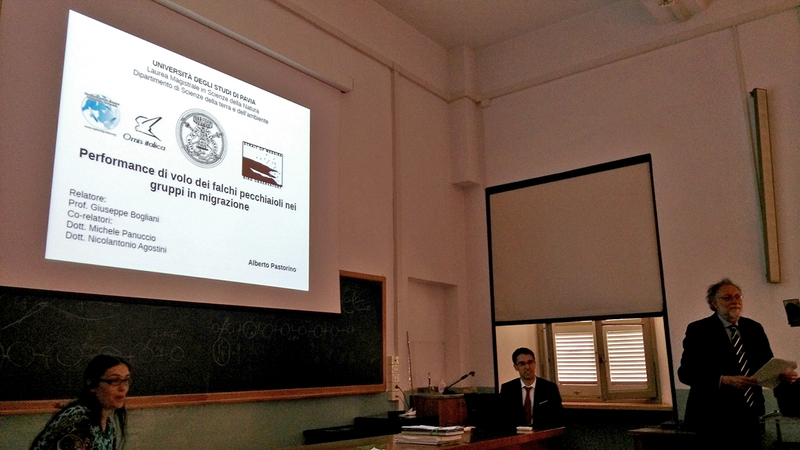 It was a project totally carried out by MEDRAPTORS and aimed to provide data on the behaviour of migrating raptors in relation to weather conditions. 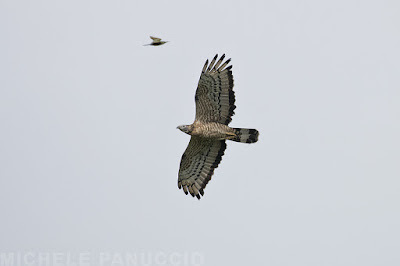 Despite several different raptor counts performed at the Bosphorous there wasn't any published information showing how wind and other weather parameters interact with raptor migration. Moreover no available data from the Dardanelles were available. Therefore our paper fills a gap providing new important results that clearly show species-specific differences among raptors migrating across the straits of Turkey. To download the paper, click on the link below. 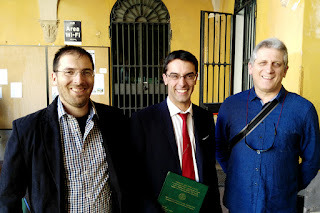 Panuccio M., Duchi A., Lucia G. & Agostini N. 2017. Species-specific behaviour of raptors migrating across the Turkis straits in relation to weather and geography. Ardeola 64(2): 305-324. For the fourth consecutive season we are starting a new fieldwork season at the Strait of Messina using visual observations and radar monitoring. 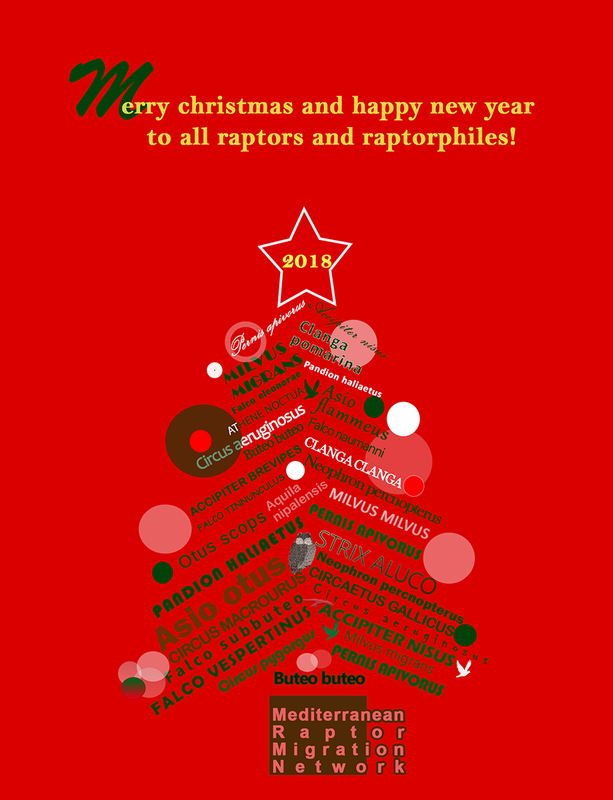 If you are interested in participating as volunteer (food and accomodation will be provided) contact us: medraptors@raptormigration.org. A new paper has been published on Acrocephalus. 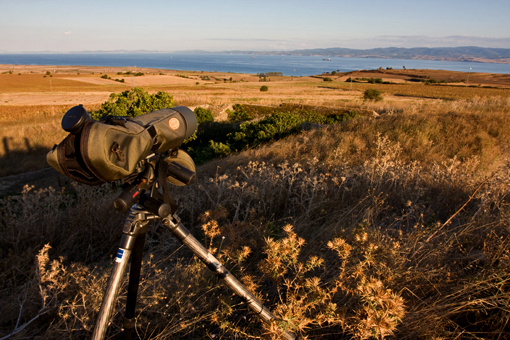 The paper relies on the migration of Lesser Kestrels in the Balkan area. 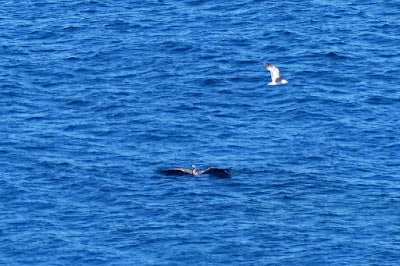 This analysis shows that this species migrates on a broader front during spring than in autumn while philopatry rates are higher for adults, while juvenile birds disperse more often and at longer distances, up to 974 km away. 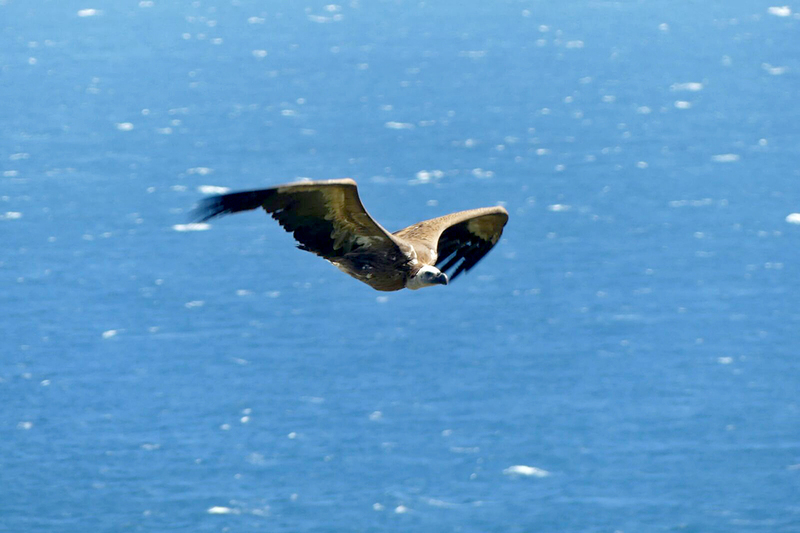 This research was made by a team of Greek ornithologist with a contribution from MEDRAPTORS activities. To download the paper click on the link below. Bounas A., Panuccio M., Evangelidis A., Sotiropoulos K. & Barboutis C. 2017. The migration of the Lesser Kestrel Falco naumanni in Eastern Europe - a ringing recovery and direct observation approach. Acrocephalus 37: 49-56.